Wow, that’s a lot of water – major rainfall in SoCal | Wott's Up With That? “Wow, that’s a lot of water – major rainfall in SoCal“. 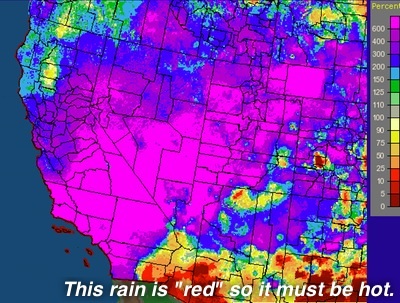 Anthony Watts tells us that December 14-21, 2010 was a wet week in California. So all concerns about Lake Powell drying out because of Global Warming can be discarded. Rain! Global Drying will never happen now! This entry was posted in Sweeping Statements, Weather! by Ben. Bookmark the permalink.